The Quantum Energy Pad (QEP) is an accessory to the BioMat. 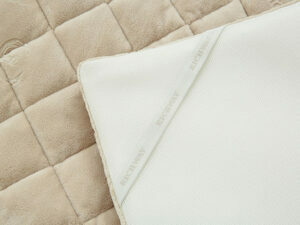 It creates a softer surface, helping you enjoy a peaceful sleep! Prevents heat loss by using hypo-allergenic micro-fibers. Used with convenience for both personal and/or professional use. The micro-fiber fabric cover and micro-fiber layer are the top two layers. Removable, hypoallergenic and machine washable, these layers are 100% cotton, super soft and luxurious. The middle two layers are composed of a mixture of mineral tourmaline and organic compounds of peach and grape seeds. The bottom two layers are durable 3D mesh cushion comfort pad and 3D mesh cover to support body comfort and eliminate pressure points.